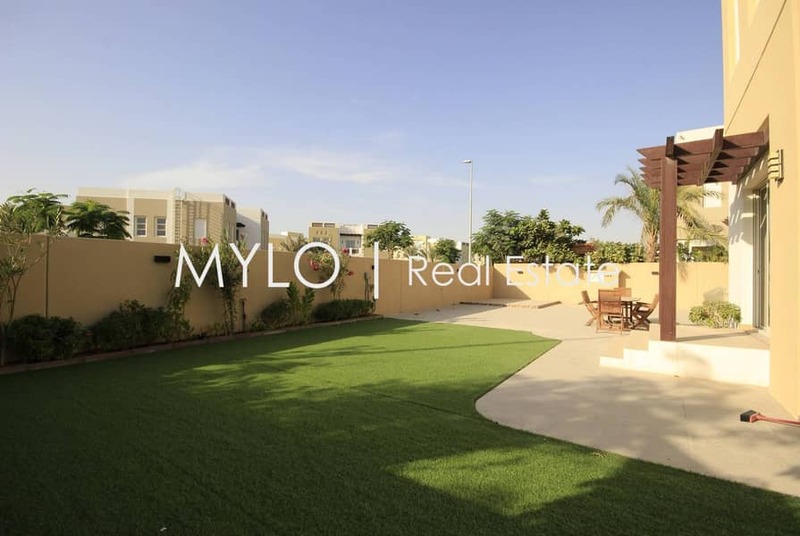 Mylo Real Estate are proud to offer this beautifully maintained 3 bedroom villa in the absolutely stunning community of Rahat, Mudon. This beautiful independent villa is a Type B located in a prime location in a single row. Walking into this gorgeous villa there is large open plan kitchen and family room; to the side is a living room with a terrace to the garden. There is also a laundry room, store room and powder room for your guests. Upstairs are 2 bedrooms with their own ensuite bathrooms. The main bedroom includes a walk-in closet, en-suite bathroom, sitting area, and balcony. The second floor also has a lovely family area, perfect to relax with your loved ones. Mudon is a family-friendly community that offers all its residents a tranquil yet active lifestyle. Developed by Dubai Properties. Residents have their own access to a shopping center, school, medical center, communal pool & parks.